Alas, the Oriel took the Sticky Toffee off the menu, and now the Oriel itself is gone, a victim of redevelopment. I've had many Sticky Toffees since, but am still looking for one to compare. Preheat the oven to 190°C/gas mark 5 and butter a 11/2-litre capacity pudding dish. Combine the 100g dark muscovado sugar with the flour in a large bowl. Pour the milk into a measuring jug, beat in the egg, vanilla and melted butter and then pour this mixture over the sugar and flour, stirring - just with a wooden spoon - to combine. Fold in the dates then scrape into the prepared pudding dish. Don't worry if it doesn't look very full: it will do by the time it cooks. Sprinkle over the 200g dark muscovado sugar and dot with the butter. Pour over the boiling water (yes really!) and transfer to the oven. Set the timer for 45 minutes, though you might find the pudding needs 5 or 10 minutes more. The top of the pudding should be springy and spongy when it's cooked; underneath, the butter, dark muscovado sugar and boiling water will have turned into a rich, sticky sauce. 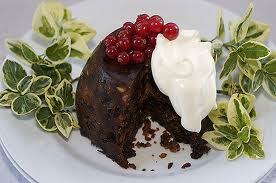 Serve with vanilla ice cream, creme fraiche, double or single cream as you wish. I think I gained five pounds by just reading this recipe. Looks incredible. Cheers! Sounds great. But Muscavado sugar?? As I recall, that was the main ingredient in the gypsy tart that Rhys talked about. I looked up Sucanat... I wonder if you could substitute brown sugar. Hallie, I read it as "pouring the boiling water over the pudding batter." Saves you actually having to steam the pudding. I think you could substitute brown sugar for the muscovado, but brown sugar is refined. Sucanat is closer--here's the Wiki definition: "Sucanat (a contraction of "Sucre de canne naturel") was introduced by Pronatec in 1978 and is a brand name for a variety of whole cane sugar. Unlike refined and processed white cane sugar and brown cane sugar, but similar to panela and muscovado, Sucanat retains its molasses content. It is essentially pure dried sugar cane juice. The juice is extracted by mechanical processes, heated, and cooled, forming small brown grainy crystals." You can buy it at Whole Foods, health food stores, and many good supermarkets. I've used it for years in everything that calls for sugar unless the end product has to be white. I love sticky toffee pudding. I made it once, but left out the topping (too lazy) and cut about a third of the sugar. Sucanat is a fun word -- sounds like an undiscovered country somewhere in the Amazon. Now this. It's a truly a good thing I'm not going to Whole Foods today, or I'd buy the Sucanat sugar. Mine is Salinic, which sounds like the salty version of Sucanat. Ou, how I love toffee pudding, thanks for sharing the recipe! I will let you know what happens when I try it!